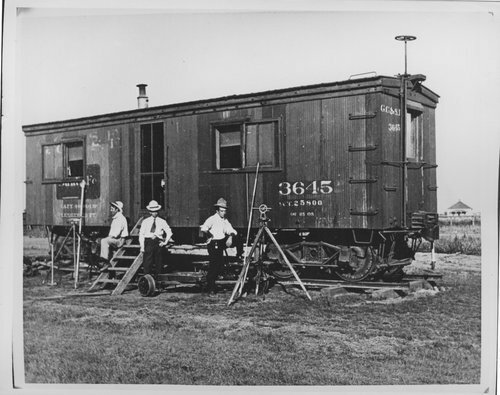 This black and white photograph shows members from an Atchison, Topeka & Santa Fe Railway Company engineering party in front of their bunk and office car in Amarillo, Texas. The men have been identified from left to right as: J.W. Walyers, F. S. Hughes, and C.A. Hughes.